Alex Prunty Racing: Alex Nets 4th Win on the Season, Extending Slinger Points Lead to 50! 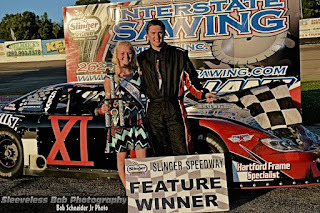 Alex Nets 4th Win on the Season, Extending Slinger Points Lead to 50! 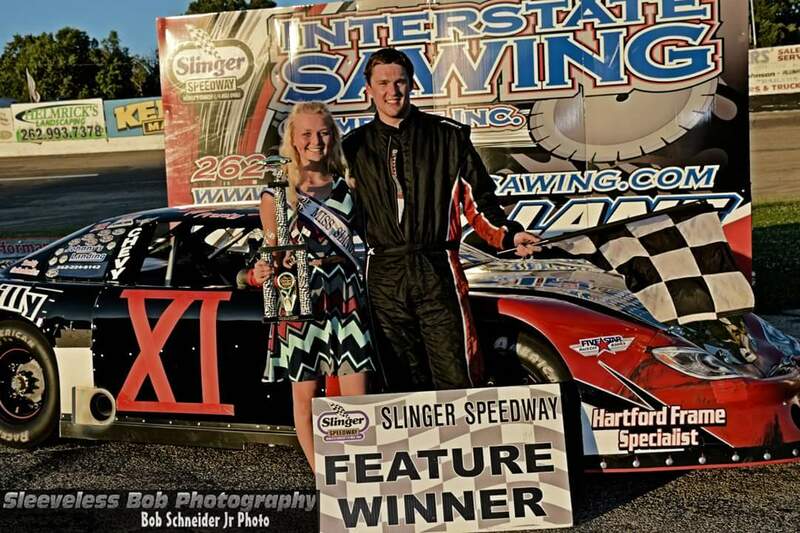 Alex Prunty captured the victory in the 40-lap late model feature after taking the lead just past the half way mark. Dan Jung paced the opening laps over Brian Holtz, Corey Funk, Grant Griesbach, and Kyle Chwala while Alex Prunty, Jordan DeVoy, Al Stippich and Mike Held battled close behind them. Funk and Griesbach tangled entering turn three on lap two triggering an incident that sent Funk’s and Chwala’s cars to the pits for repairs and retired Griesbach’s machine with extensive damage. Jung maintained the lead as racing resumed while Prunty, Held, and DeVoy began to work their way forward. Jung turned back many challenges until lap 21 when Prunty finally was able to work his way by to take command of the race, leaving Jung to battle intensely with Held for second. An incident between R.J. Braun and Brittiny Helmers in turn four on lap 34 drew the second caution flag of the event with Prunty leading over Jung, Held, and DeVoy. Prunty was able to keep the lead as the green flag appeared while Held and Jung resumed their battle for second. Another caution flag for a single car spin in turn four waved with just three laps to go, setting up a sprint to the finish between Prunty, Jung, and Held. 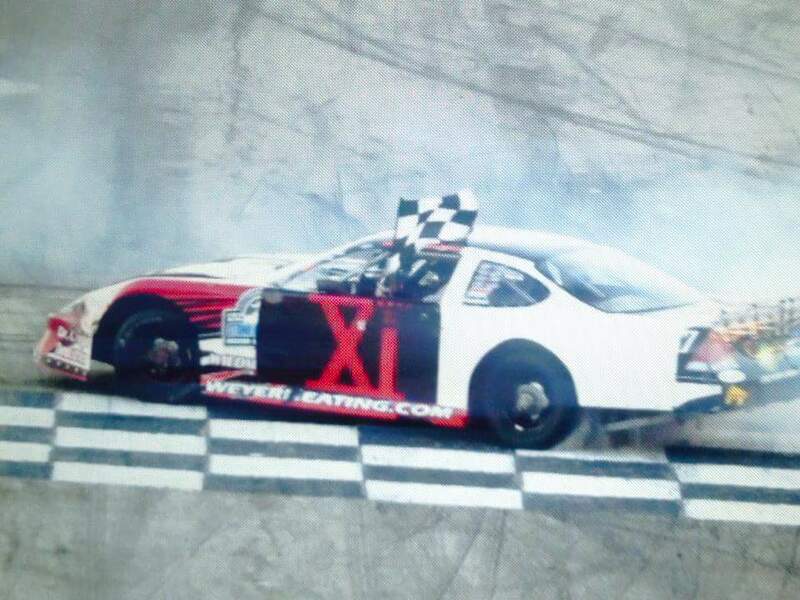 On the restart, Held was able to move into second place behind Prunty and as he made a bid for the lead, he made contact with Prunty’s car in turn two, sending the leader spinning down the backstretch as the caution waved again. Held took responsibility for the incident and tapped his roof which allowed Prunty to keep his lead position. Prunty was up to the challenge and he held off Jung in the final laps to score the victory. Jordan DeVoy finished third followed by Al Stippich and Brian Holtz.